at VISIT Milwaukee, I was responsible for much more than just marketing. My day-to-day responsibilities included managing and updating VISIT Milwaukee's websites including visitmilwaukee.org, milwaukee365.org, dearmke.com and visitwauwatosa.org. I also managed all email marketing campaigns, as well as special digital campaigns and microsites for the summer, fall, and holidays. In addition, I provided design assistance for the Official Visitors Guide (including designing the cover), worked with outside agencies and partners on digital advertising, innovated community engagement projects, created motion graphics for social media, and edited video for campaigns. My first project at VISIT Milwaukee was to refresh the company's email design and marketing. As seen in the before/after below, I incorporated VISIT's branding to create an email that reflected our "fun & easy" attitude. I also incorporated campaign marketing best practices, such as teaser lines and responsive design, in order to boost open and clickthrough rates. In addition, I used the newsletter to cross-promote other VISIT Milwaukee initiatives, including #DearMKE and VISIT Wauwatosa. To extend VISIT's fun branding, each email ended with a custom graphic for the season. 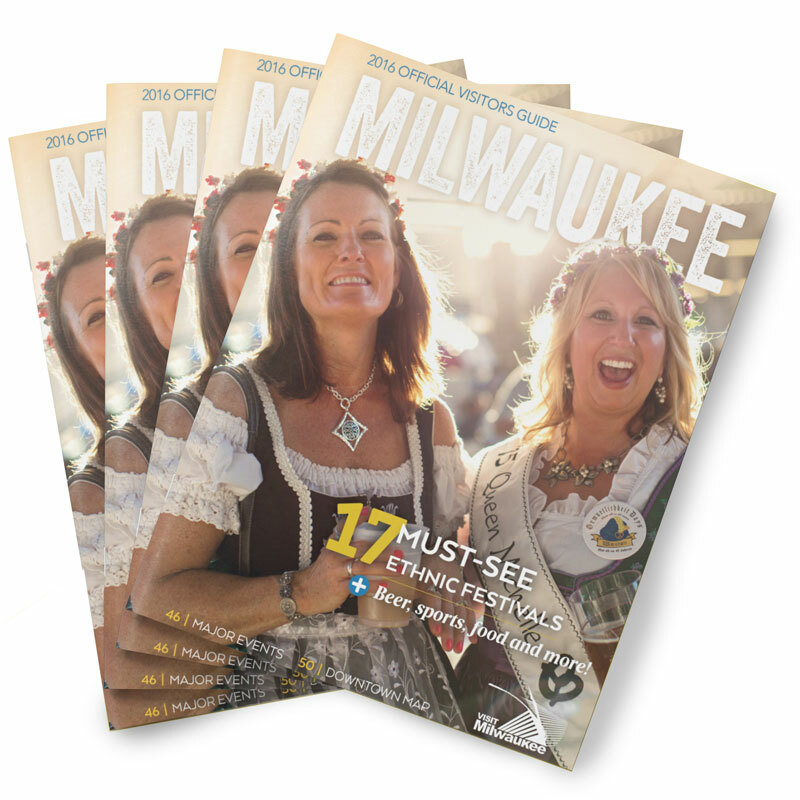 To increase traffic to VISIT Milwaukee's event website, I created the Milwaukee365.com weekly newsletter. 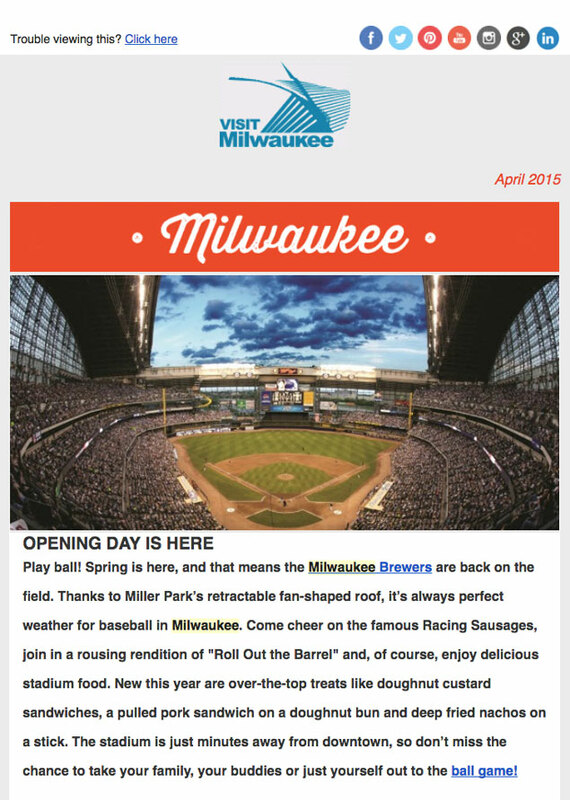 This event newsletter automatically populates and sends a responsive email highlighting events happening in Milwaukee. The result led to increased traffic to Milwaukee365.com (breaking the previous record for visitor traffic), a new email ad revenue stream, increased exposure for VISIT Milwaukee and its partners, and a useful resource for both visitors and locals. In its first year, the newsletter maintained a 40% open rate, nearly three times higher than the average open rate for the travel and tourism industry. 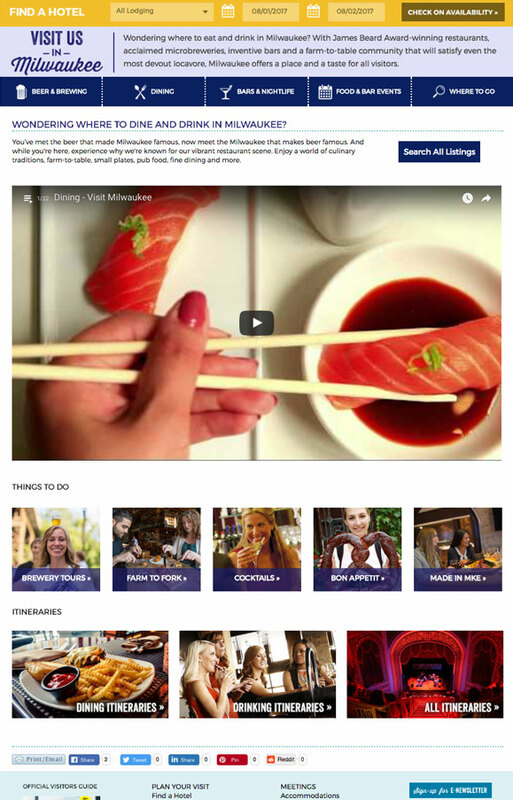 In addition, I completely redesigned all of VISIT Milwaukee’s email newsletters to responsive templates that match the organization’s current branding. 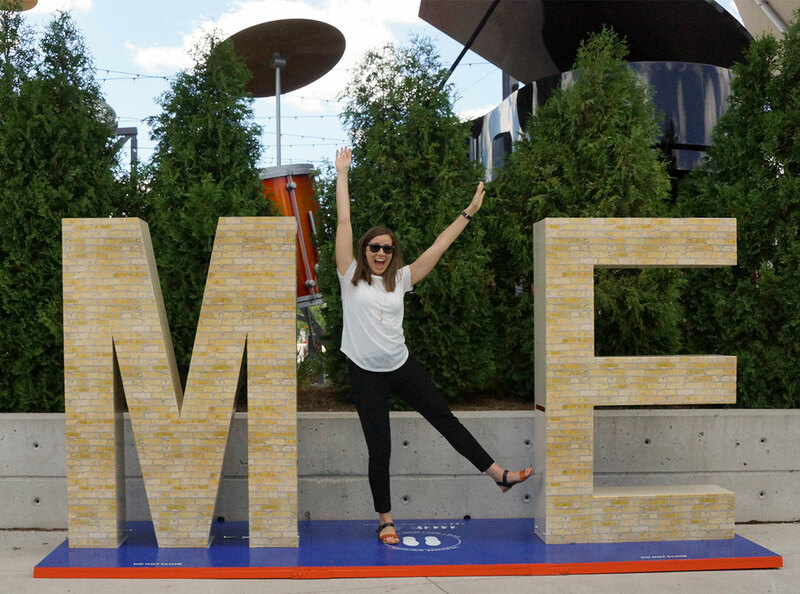 One of my favorite projects was #MeInMKE an interactive installation that tours around Milwaukee during the summer. Learn more about it here. For National Travel & Tourism Week, I created something the city hadn't seen before. Working with the Marcus Center and Video Villains, I coordinated, designed, and executed a full-scale video production in downtown Milwaukee. Check it out. 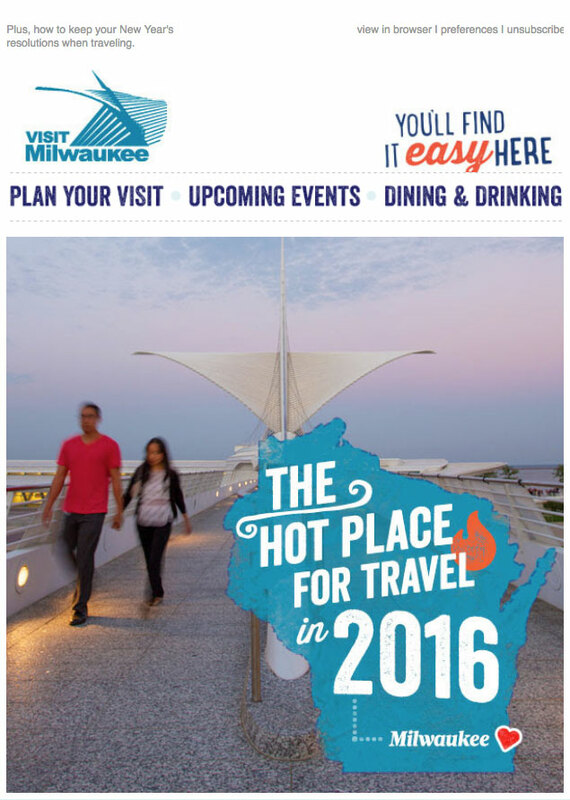 The result was record-breaking web traffic to VISITMilwaukee.org within my first year as Digital Marketing Manager. I then broke that record the following year. 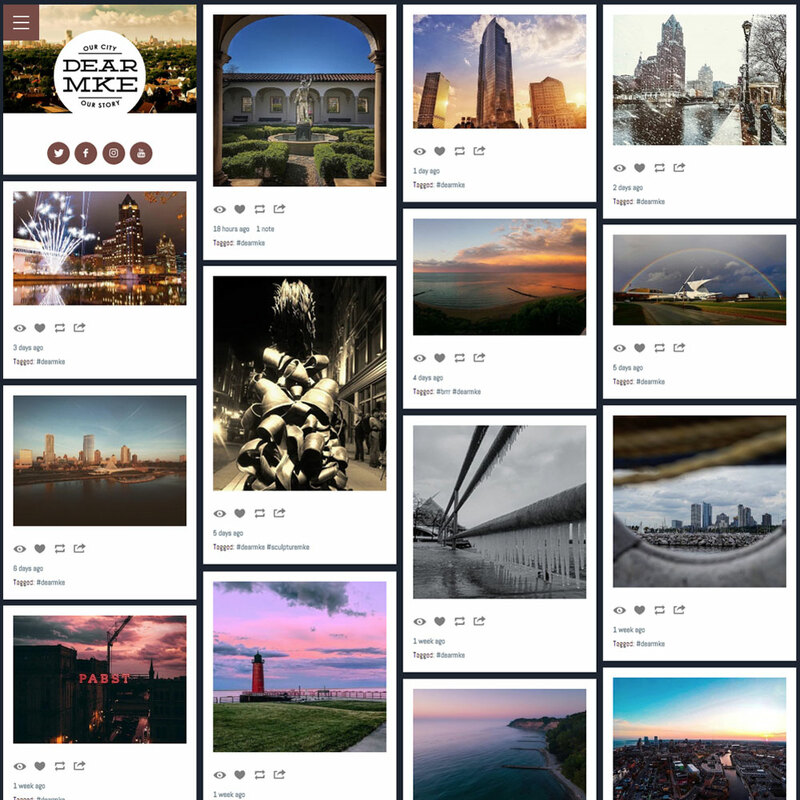 During my first year, I updated DearMKE, a highly-popular photography blog in Milwaukee. Instead of drawing visitors to an outdated, buggy website, I decided to move to a responsive design that allowed easy moderation and posting. Photographers can now simply tag their Instagram images with #DearMKE, or submit their photo directly to the site. 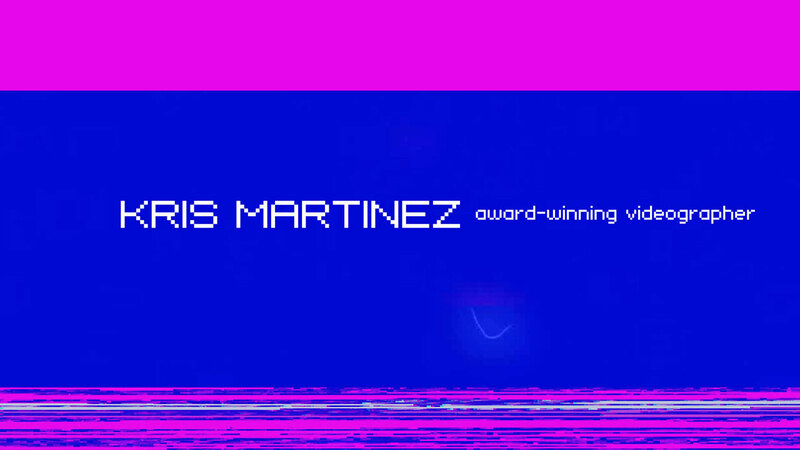 I was editor for VISIT's campaign videos, winning a Videographer's Award and MarCom Platinum Marketing Award for my work. 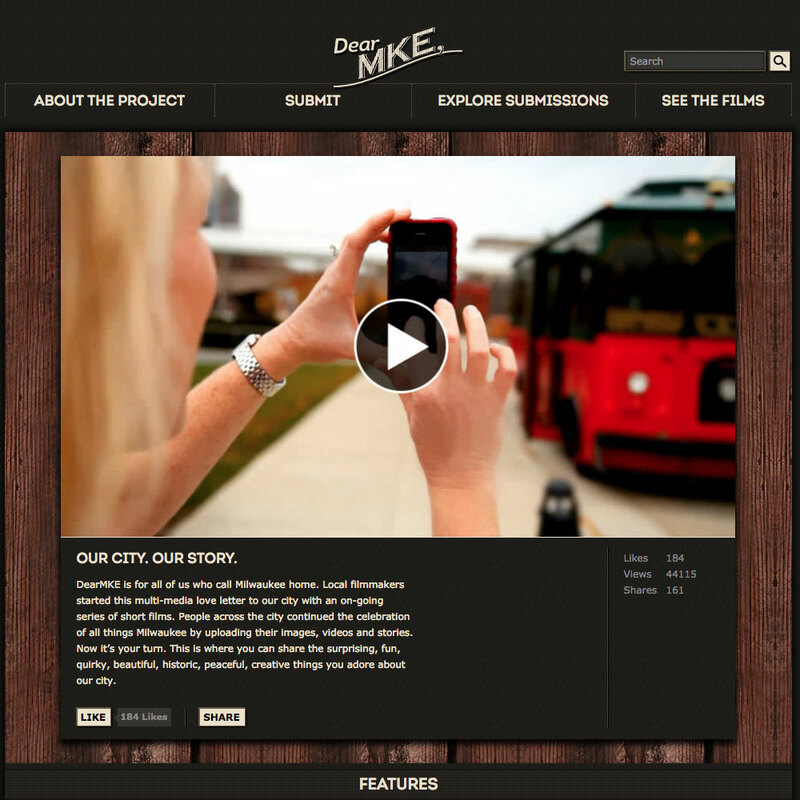 Finally, I produced the RFP for a new visitmilwaukee.org website network. This heavily-involved process included working with key internal and external stakeholders to understand their goals for the site, researching forward-thinking technologies, and partnering with the content editor to select and review agency proposals.